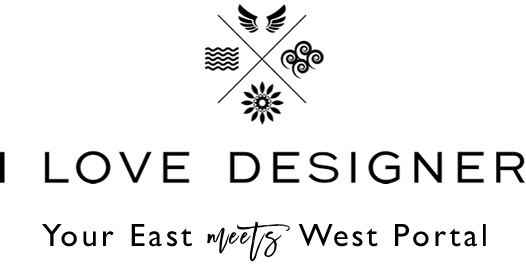 East meets west in the chicest way here at ILoveDesigner.com. We are the only luxury online portal in the world where every piece is carefully handpicked from both established and emerging Eastern and Western-based designers. This allows us to provide you with a curated edit of the highest quality and most stylish accessories that the world of luxury fashion has to offer. We want this to feel like a one stop shop Aladdin’s cave for you trinket-seeking magpies; feel free to dip in and out as you choose. The creative pieces are dedicated to our elusive and globe-wandering girls. We want our accessories to help you tell the stories that all-too-often get forgotten in the hustle and bustle of a little thing we call life. Let yourself get lost in our selection of jewellery, including bracelets, necklaces, rings, cuffs, earrings, chokers and fine jewellery. Browse kitsch and contemporary accessories, whether it’s small leather goods, hair accessories, scarves, clutch bags, gifts or beauty that you’re searching for. Our accessories are not only bang on trend, but they are also interesting and unique; find something unexpected to enchant women from every culture. A statement necklace or pair of earrings is the perfect trick to get the dinner conversation well and truly flowing. Stay tuned, as we have exciting plans to introduce beauty, home accessories and even food to our portal of dreams in the very near future. You’ll not only be able to channel East meets West with your clothing, but your living space can be transformed into a unique explosion of culture. We put a lot of thought into designing our logo and feel it perfectly illustrates what we are about. We’re all about authenticity. We scour, travel and seek out the perfect designs for you through all manner of treks and modes of transport. The wings (top), wind (right), the ship’s wheel (bottom) and water (left) are icons to illustrate every channel we go through to bring the brands to you. No fuss, no tricks, just a good old-fashioned treasure hunt. 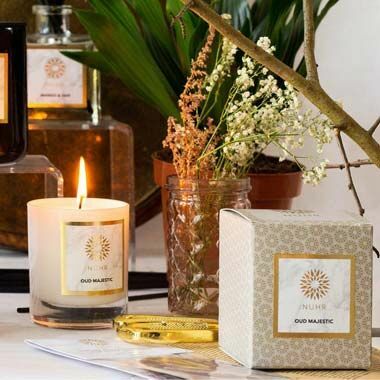 are perfect for keeping things pared back, or complement the more decorative Eastern styles well. Our premium range of designers has been carefully and meticulously scouted from the best trade and fashion shows across the globe. We’ve done London, New York, Paris and Milan Fashion weeks to cover the Western influences, and jetted across to Asia for Lakme, Shanghai & Beijing Fashion Week, Indonesia, Vietnam and Singapore Fashion Week to indulge our Eastern roots. Browse your favourite brands from the extensive selection, whether it’s Manish Arora, Isharya, Zoe & Morgan, Nocturne, Maria Francesca Pepe or Anita Quansah London, that particularly catches your eye. Founded in 2011, ilovedesigner.com was inspired by an undying love for travel, with its core values firmly rooted in local culture and rich heritage. Lost in a daydream of new destinations and local cuisines, our founders couldn’t ignore the incredible treasures they were regularly unearthing across the globe. We strongly believe that experimentation is fundamental to fashion, so we made it our mission to make this accessible to women across the globe, no matter where they live. This perfect marriage of juxtaposing styles culminated in the birth of our “East meets West” Luxury Accessories philosophy. We want you to experiment freely with different styles, colors and limited edition pieces. We want you to find that piece that makes you feel more special than ever before. Whether it’s hand set jewels from Jaipur, exotic leathers from Bali, or tailored prints from London, all of our designs are created with love, care and expert craftsmanship. Our team is dedicated to travelling the globe and uncovering hidden talents from all over the world, especially for you. This means that we can arrange the most beautiful and exotic pieces to be delivered right to your door, from the most remote locations imaginable. We are proud to be part of the process that means passionate designers from all corners of the globe, and all walks of life, are being rightfully showcased to the rest of the world.